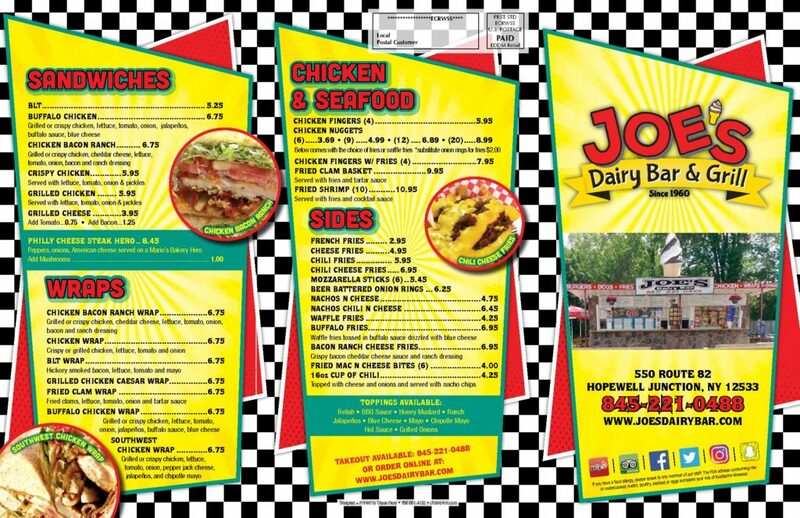 So…you do know that you can grab a menu (SEE BELOW) and order Joe’s Dairy Bar and Grill yumminess via telephone (845-221-0488), Facebook Messenger, Instagram Direct Message (DM) or order online…. When the weather is poor (too hot, too cold, raining), it may not be a great time to eat outside. 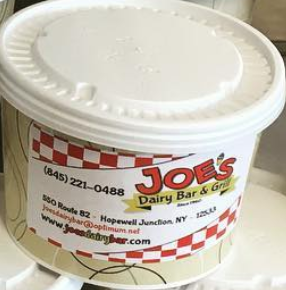 Order online, pay online and grab and go, JDB Family! OR Message us via Facebook or Instagram! OR call us at 845-221-0488 to place your order and pay cash. Want to hack the long lines on good weather days?